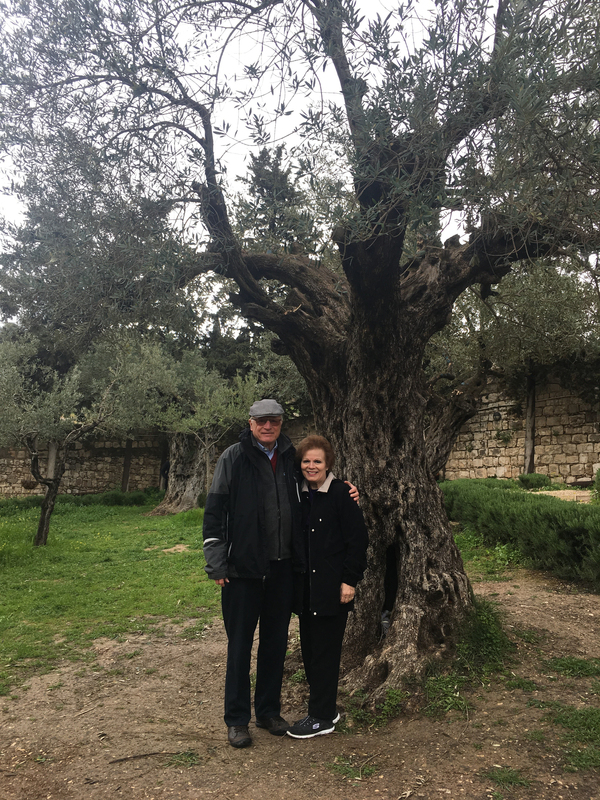 This morning, we had a privilege that is seldom given to most tour groups; we were given the opportunity of spending time privately in the garden of Gethsemane. This cup, which was given to Him by His Father, was the cup of iniquity; it was the cup of bearing our sins on the cross. We cannot fathom the suffering and the agony that Jesus chose to endure on our behalf. We were reminded that even the most earnest prayer is sometimes not answered in the way we would desire. Jesus prayed that the cup would pass, but bowed to the will of God and drank every drop. Although it was the Sanhedrin that goaded Pilate to crucify Him, Jesus still saw this cup as coming to Him from His Father in heaven. Just so, when there is someone who wishes to do us harm, we must look beyond the instrument and see that ultimately these trials come to us from our Heavenly Father. Today in Gethsemane, we also spent individual time worshiping Jesus and thanking Him for what He endured on our behalf. We prayed that we might better grasp the depth of Christ’s love for us. And we know that forever we will thank Him for saying yes to God’s plan in this garden. The word “Gethsemane” means oil press. Here Jesus was crushed, and the sweet perfume of His obedience bears fruit forever. Thank you, Jesus, for saying yes at Gethsemane! This will be my last blog about this trip to Israel. Thanks to all who joined us on our journey!